These shots were taken in the second week in September 2013. The location was in Rosslyn, Virginia. The "Take It!" Came from an attention getting burst of sunlight focused upon this section of the tree. For some reason I envisioned the open mouth and part of an elevated trunk of an elephant. I took the liberty of cropping the photo when making prints to emphasize this vision and am delighted to share the full on photo below. The After Take: All who looked at the photos while still in the camera (without the benefit of my later cropping) were easily able to see the comparison to an elephant. Everyone thought it was great fun. Perhaps at Halloween I will get a small pumpkin and put it in its mouth for I hear elephants consider that to be a real treat. If I do that - I will be certain to pass along the picture. Wishing you sunbursts to help you see things differently too. I got a good laugh out of this one. 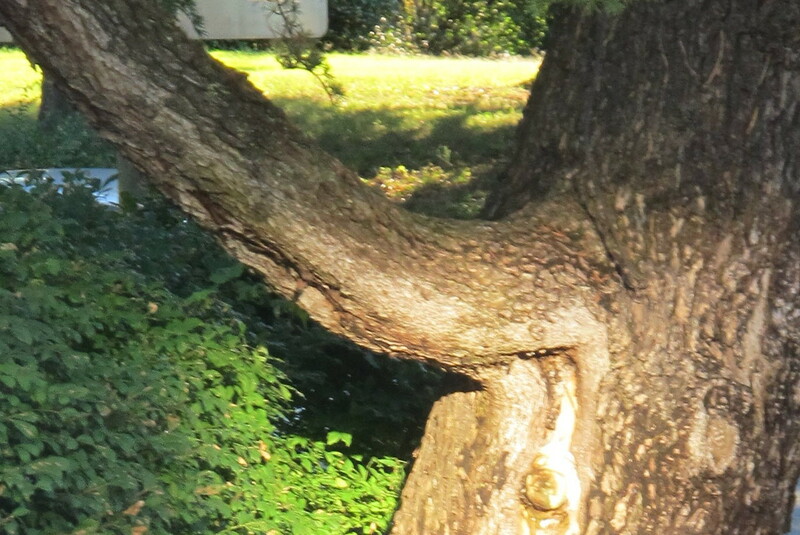 I can actually see the mouth below the trunk. 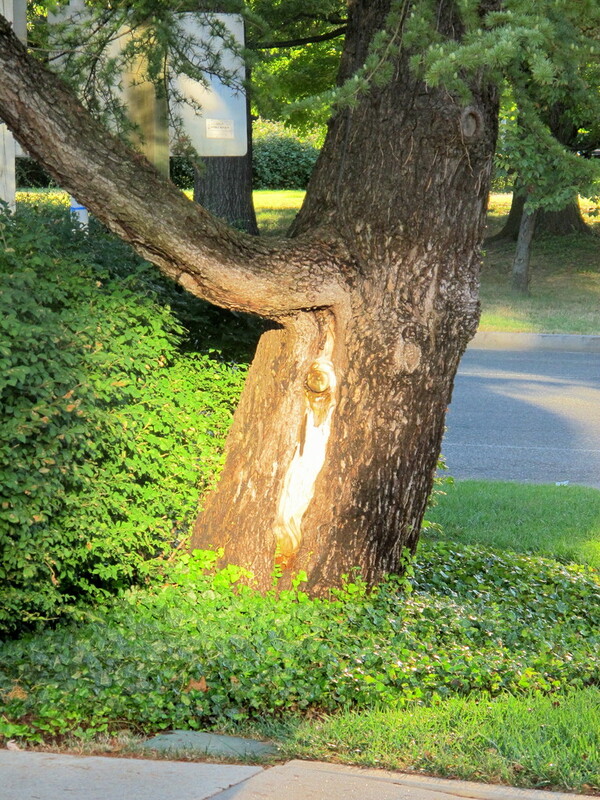 It almost looks like the branch was separated from the trunk of the tree. Like it was pulled up off the base.